Between this year’s Call of Duty: Black Ops 4 and last year’s Call of Duty: WW II, the franchise seems to be moving away from the fast pace of previous titles and back to more grounded gameplay of early games. This year’s iteration is the first without a singleplayer campaign, opting instead for the series’ first battle royale mode called Blackout. 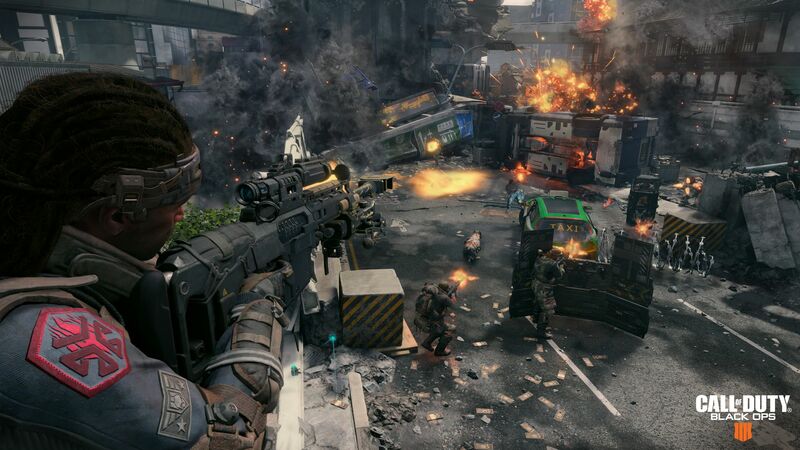 Combined with the traditional multiplayer modes and the ever-popular zombie mode, Treyarch is hoping their triple threat will conquer the busiest video game launch season of the year. 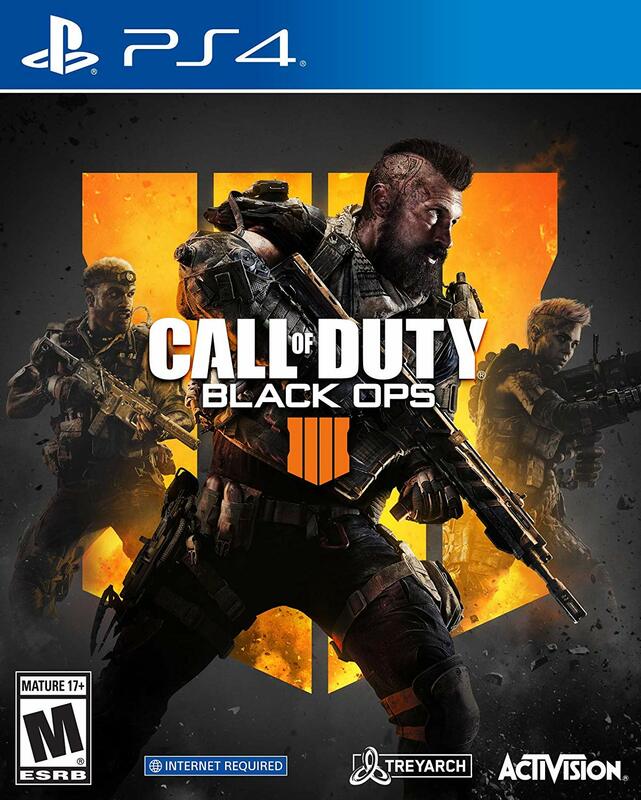 Call of Duty: Black Ops 4 is the first game in the franchise to dispense with a singleplayer campaign, but not the story completely. Instead, the story has been moved to Specialist HQ where players get small cut scenes in exchange for playing tutorial missions for each specialist and a bunch of bot matches. Black Ops 4 is supposed to serve as the bridge between the events of Black Ops 2 and Black Ops 3. In practice, the story is vague and barely understandable to anyone new to the franchise. It’s bad enough that I would have preferred if Treyarch just embraced the fact they were making a Call of Duty game in the Black Ops universe with no singleplayer campaign and just skip the story all together. The only bright spot in the story is the hilarious, over top performance by the AI version of Sergeant Frank Woods. On the other hand, the state of the zombie campaign is a lot better. The two main storylines are entertaining. The writing is still a bit cheesy at times, but I think it’s always been part of the mode’s charm. 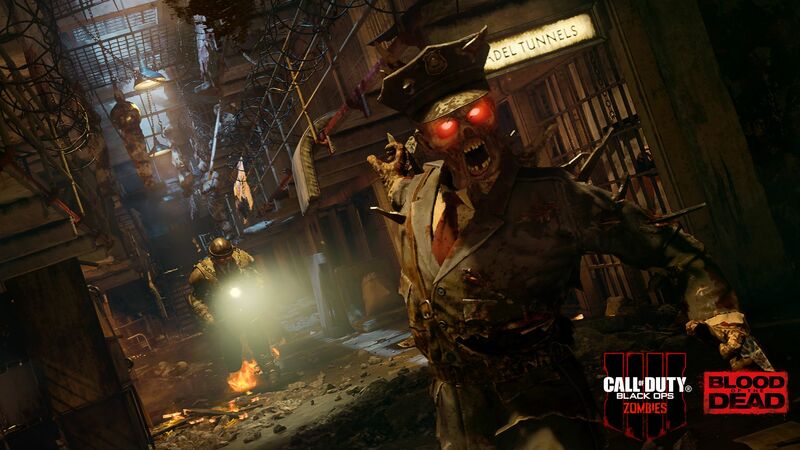 The constant banter between the players gives the mode a lot of character, though players will hear a few lines over again in the course of a long game of zombies. Call of Duty: Black Ops 4 marks the return of the Pick 10 and the Specialists systems. The infinitely flexible Pick 10 system has aged incredibly well and still ranks as one of my favourite class systems in an FPS. This year’s specialists are a diverse bunch. Each one offers two skills on a short and long timer, with the longer timer skill essentially serving as a fourth killstreak. There’s definitely a specialist for every playstyle, such as the support friendly Crash and the flanker’s friend Seraph. The movement system in Black Ops 4 is possibly the best in the series so far. Running around the map and climbing into windows is incredibly smooth. The pacing is quicker than last year’s Call of Duty: WWII, but still grounded enough for older Call of Duty fans to feel right at home. The game easily ranks as one of the smoothest FPSes I’ve played in a long while. Considering Call of Duty started the trend of automatic health regeneration, I was rather surprised that Black Ops 4 opted for a new health system. Now players are given a syringe that will regenerate all the player’s health over a few seconds. The syringe has a short cooldown, meaning players can’t tank shots either. It’s a great system that offers players the tough choice between reloading and regenerating health during tense firefights. The game has opted for a slightly more team-based, casual friendly appeal. The scoreboard has been reformatted to reward players for participating in combat instead of landing the final blow. While this probably won’t change the kill/death ratio obsessed community overnight, it’s a small change that helps new players feel like they are contributing to the match. This feels like the logical next step to Call of Duty’s existing point based scorestreak system. Call of Duty: Black Ops 4 offers a mix of old favourites and new maps. The old maps have been left untouched save for a facelift to bring them up to modern standards. The new maps are a solid mix of close quarter brawls and long hallways for tense sniper battles. It appears that the series’ emphasis is now on larger mixed area maps, versus the small pure close quarter battle maps that players have a love/hate relationship with. Treyarch is hopping on the battle royale bandwagon this year, offering a new Blackout mode that pits players against each other in small teams or a free for all. Instead of choosing their guns and perks, players parachute onto a massive map with main areas taking design cues from some of Black Ops most beloved levels. Perks, weapons, and equipment are scattered around the map that is quickly closing in on the players. 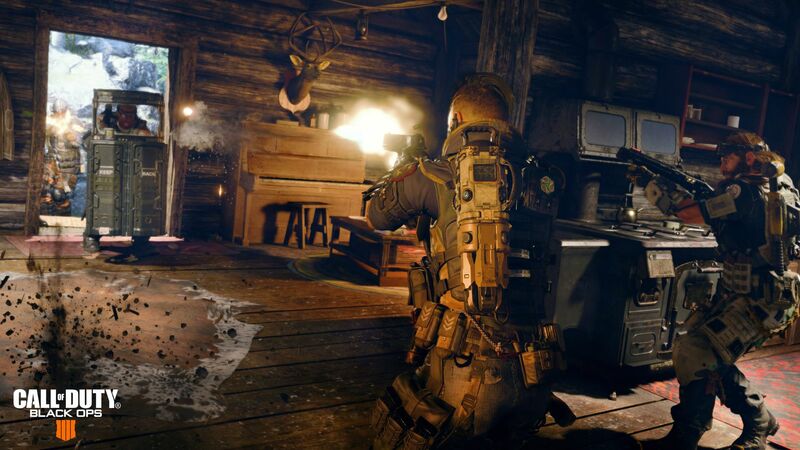 Call of Duty’s fast paced gunplay translates well to the mode. Call of Duty: Black Ops 4 offers two separate zombie campaigns consisting of two missions each. While the two campaigns share the base gameplay, perks, potions, and guns; each campaign starts with its own set of plot-appropriate special weapons that are eventually unlocked for the other campaign. The new missions have a ton of content beyond fighting zombie waves that get increasingly more challenging. Without many hints, players will need to experiment, or use a walkthrough, to find all the Easter Eggs in the level. The levels are designed well, with few cheap chokepoints and a lot of neat little challenges scattered throughout. The weapon balancing is clearly a work in progress. On the PC, the dual SAUG 9mm combo and, to a slightly lesser degree, the Paladin sniper rifle currently need a nerf. From what I hear from console players, they are faced with a separate set of issues due to the lack of mouse and keyboard. It might be time for Treyarch to follow Blizzard’s lead and balance the PC and console versions of the game separately. Right now, the network situation needs some work. During the beta, Black Ops 4 ran at 60hz up and down. Currently, the game client sends data at 60hz, but receives at 20hz. 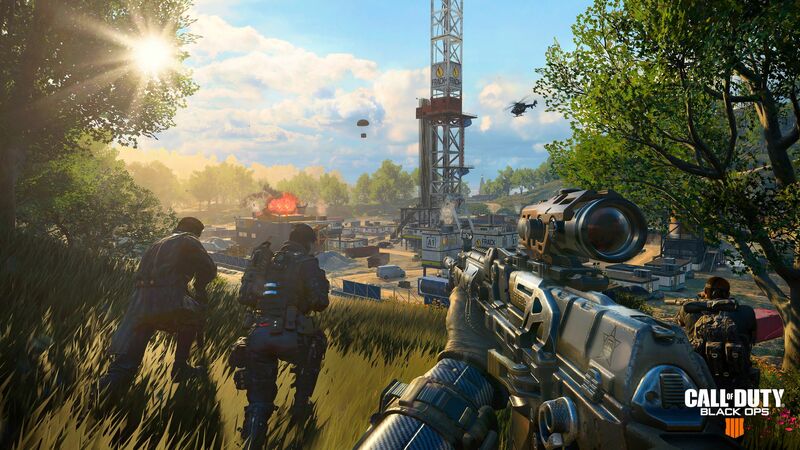 The set up is not ideal for competitive first person shooters, and many of Black Ops 4’s non-battle royale competitors are running at least 60hz up and down. In all fairness though, Acitivision-Blizzard’s other big competitive shooter Overwatch was in a similar situation on launch and later upgraded to 60hz up and down. Launches for big games means a crush of players during the first week with a quick drop in player count in following weeks. Managing a finite amount of server resources to ensure a good experience for all players during that initial surge is a challenge. What’s not excusable is the fact Treyarch hasn’t been clear on what their plans are to sort this matter out. They’ve announced they will be rolling out improvements in the coming weeks but have been a vague on what these improvements actually entail. As of publishing, there is talk that this improvement is a bump up to 30hz for some servers, but it’s still a far cry from 60. The PC port quality is excellent. Beenox has done a fantastic job making sure PC players can tweak almost every aspect of the game. I like the fact the game’s tiered menu that offer the usual options with an advanced menu just underneath to let players have finer control over the game. It’s a small detail, but I noticed fact Call of Duty: Black Ops 4 lets me use the caps lock key without actually triggering the caps lock. I don’t know what sort of black magic happened, but I wish more games would do it. Call of Duty: Black Ops 4 doesn’t change too much graphically besides the usual upgrades to take advantage of the latest and greatest hardware. The near futuristic art style looks excellent, though admittedly a few gun designs would probably be immediately booted from a firearms designer’s desk for not being practical. The maps offer a good variety of locales to keep things fresh. Classic maps like Firing Range have been given a visual update and look excellent. The audio experience in Call of Duty: Black Ops 4 is good. The music is the usual hard rock tracks we’ve come to expect from the series. The voice acting is solid. The sound effects have a nice punch to them. Sound directionality is not bad but could be improved. With a pair of headphones and a virtual surround sound set up, I had no problem figuring out exactly where shots were coming from, but footsteps generally felt more muffled in comparison. It’s not much of an issue for busy modes like Team Deathmatch where all the action drowns a lot of footsteps anyways, but it’s a bit frustrating for quieter modes like Blackout. 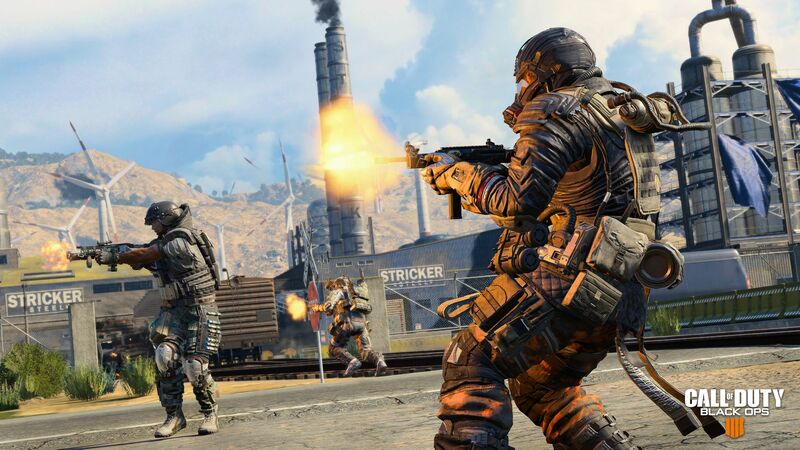 Call of Duty: Black Ops 4 is the perfect example of small, steady improvements year after year on a long running franchise to keep it fresh enough to bring in old players without completely alienating the fan base. The return to the more grounded gameplay is sure to bring older players into the fold. The improved movement system and the new Blackout mode are excellent. The game is suffering growing pains though. The guns need some balancing and the netcode needs to be bumped back to 60hz as soon as possible; however, even with these issues, I’ve still had an absolute blast with Call of Duty: Black Ops 4. While some post launch balancing and netcode improvement is in order, Call of Duty: Black Ops 4 is another strong release from Treyarch.